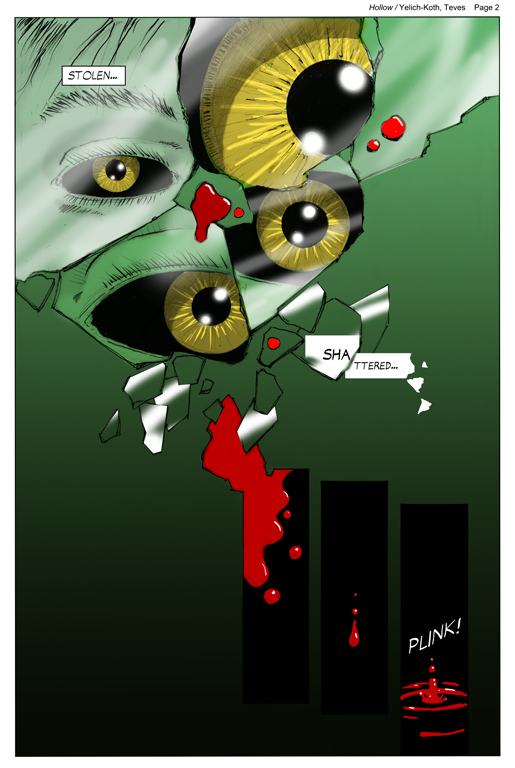 Here is our next sample page from our graphic novel, Hollow, coming out Oct 1st! state and yet staying within the subtext of the story. Here is the remarkably surreal result. I hope everyone is still liking our style and layout. More sample pages next month, including the cover! Fantastic! I seriously cannot wait for this book. The colors and composition make this suitably creepy. everything of this i see nearly takes my breath away in its creativity, depth, and flow. you two are making a great pair! Sign up to receive exclusive sneak peeks at cover reveals, giveaways, upcoming book snippets, and more! Follow the HOLLOW series on FaceBook through GEUC!